Looking for the best realtor Concord has to offer? Then look no further than The Attias Group. With a 17-year track record and our talented and remarkable agents, we’re confident that we can find you the perfect new home in beautiful Concord, Massachusetts. Concord boasts a rich history in the founding of the United States, as it played host to the beginning of the American Revolutionary War. A number of notable historic museums and monuments stand as reminders of the important events that occurred in the area. But in addition to its historic significance, Concord also offers a variety of modern attractions like local shops, restaurants and entertainment venues. Impressive school systems and safe neighborhoods make Concord a great place for young families raising children. But the quiet streets and slow pace of life is also ideal for seniors and those who are looking for a place to retire. When you work with The Attias Group, you’re working with the best realtor Concord can provide. You can be sure that we’ll find you the perfect piece of Concord property to call home. 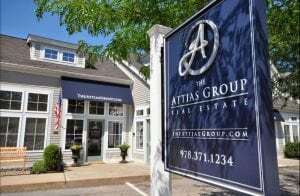 If you are looking to sell your home in Concord and need help to ensure you’re getting the best deal, The Attias Group can help with that as well. We have designed a marketing business model that reflects today’s buyer behavior. This model provides our sellers with maximum exposure to the correct buyer pool to engage with people who are most likely to purchase their homes. We consider our firm to be one of the true industry leaders and we are not content to simply uphold industry values. After years of careful study of rival firms, we have made essential goal-oriented amendments to the way we work. We continue to defy conformist ways of thinking and promotion to craft new models that yield the utmost net success for our clientele. At The Attias Group, we believe that true success and promotion is solely outlined by client approval. You will have the most involved experience with an Attias Group realtor in Concord MA who has only one goal in mind: your complete satisfaction. Contact us today to schedule a viewing or a consultation!